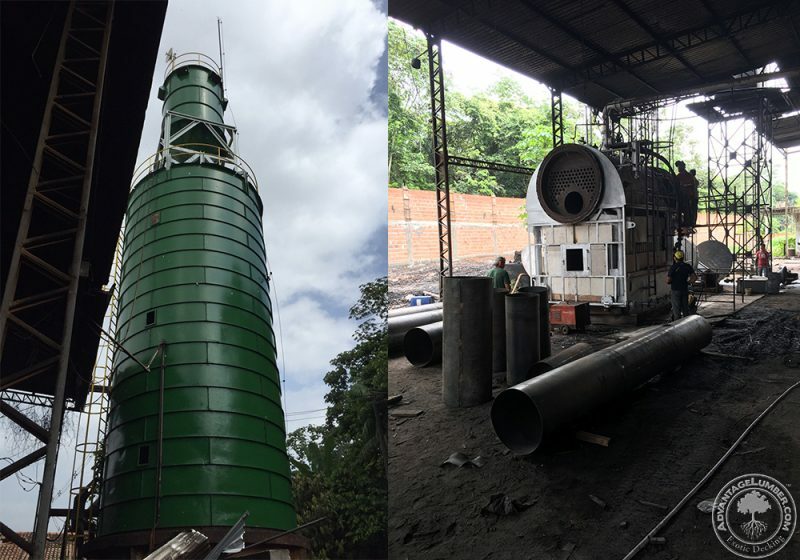 Our new mill in Brazil needed some upgrades. Some of the machines were neglected and needed refurbishing. Others were beyond repair and were replaced. We started doing work on a massive boiler that will power 11 dry kilns capable of drying 500,000 board feet of hardwood per month. This behemoth was torn down to its frame; we replaced all tubes, valves, controls, and fire brick to make it operate like new. This entry was posted in Mill Operations, News and tagged Brazil Ipe Mill, Brazill Wood Mill, Exotic Decking Mill, Mill Upgrades on February 5, 2016 by Mr. Ipe Hardwood.